Another interesting thing I’d like to talk about is how to limit the frequency of users’ submissions in Justice. By default, Yii2 provides \yii\filters\RateLimiter for us. RateLimiter implements a rate limiting algorithm based on the leaky bucket algorithm, we can use RateLimiter by attaching it as a behavior to a controller or module. However, RateLimiter requires a model instance to implement the yii\filters\RateLimitInterface, or it will do nothing. This implement looks like a little cumbersome, so we found another alternate limiter: bandwidth-throttle, which is more decoupled from service and flexible. 1. We didn’t provide register feature for new users, this can be fixed by either adding register logic or updating getData() in UserFixture to seed the database. 2. Submissions now are available for everyone to review, maybe this feature should be open to administrators only due to security(privacy?) concerns. 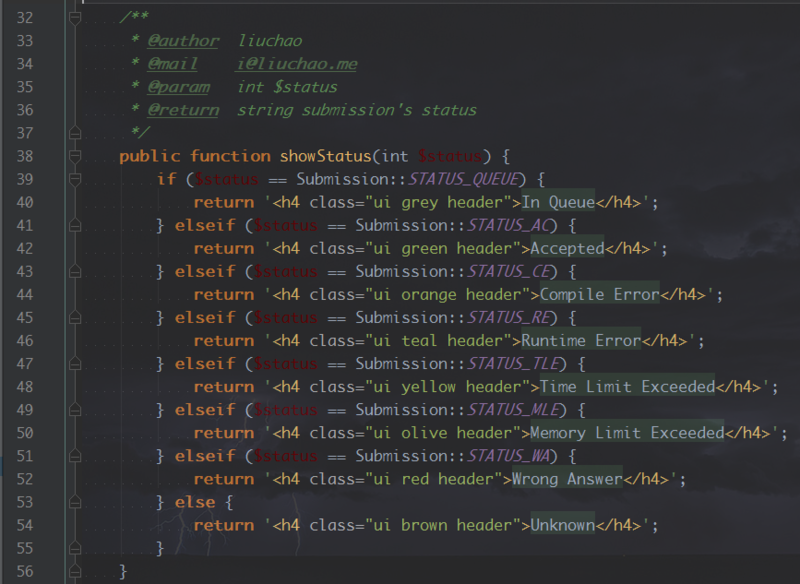 1 response to "Online Judge from Scratch(1) – Frontend"